Born and raised in London, Celia Peterson began her life as a photographer before moving into documentary film 4 year’s ago. She travelled around the world shooting portraits of musicians and now works predominantly in the Middle East shooting a range of documentary photographic and film assignments. 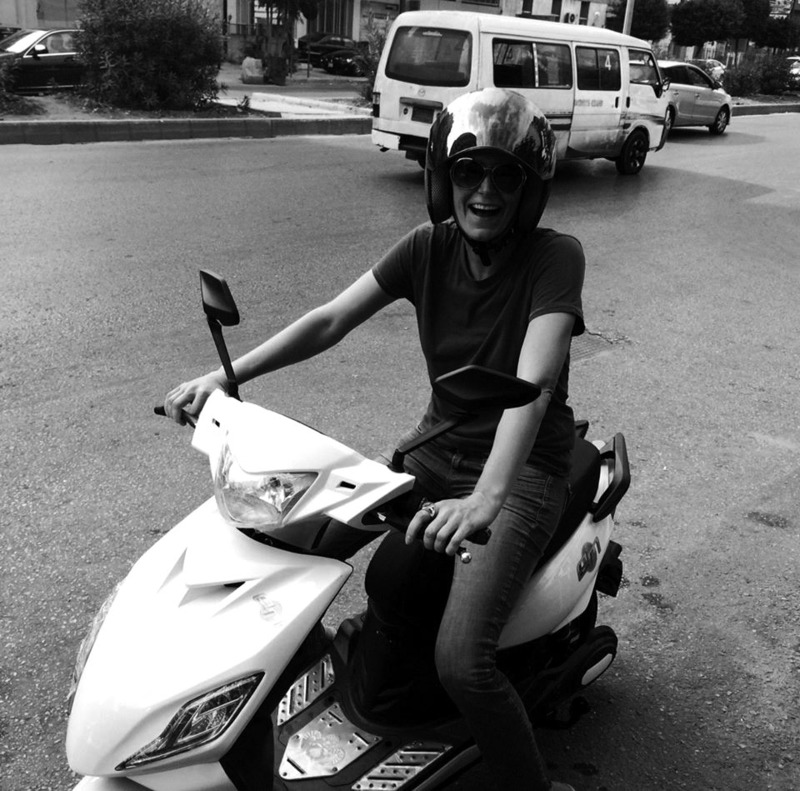 She has lived in Palestine, the UAE and Lebanon, and is currently based in Beirut. Rym is a senior film editor with over 18 year's experience. She works on a mixture of projects including feature films, documentaries, TVCs and music videos. First was theatre. Then photography. And now film. Since I left university, I have gathered experience in every camera department position. This path lead me to post production and I am currently enjoying the life of a colorist at Mile Studios Dubai. John M. Kochanczyk is a Sound Designer, Audio Systems Mixing expert and a Post-Production Supervisor. He has been practicing sound & video for over 15 years, and has delivered numerous projects covering the spectrum from live and theatrical audio to commercials, music videos and narrative filmmaking. John is a partner at Mile Studios Dubai. Filmmaker Celia Peterson’s stunningly photographed study complicates the timelessness that can shroud monasteries when seen solely from the outside. How does one commit to a lifetime on a majestic mountain? And how do those who have made this commitment reflect on their life-altering choice decades later? 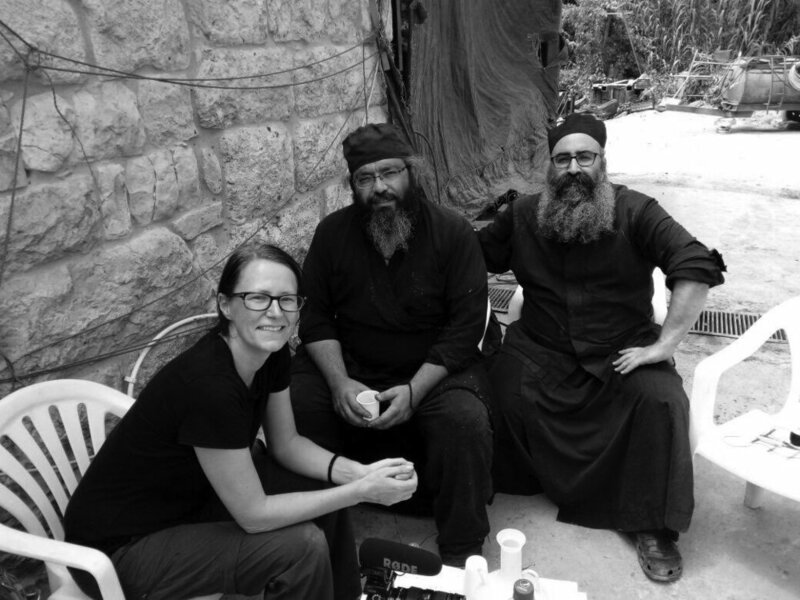 As the monks of a Greek Orthodox monastery in Lebanon go about their routines—silently crafting candles, engraving wood with Christian icons, and lowering crates of produce down the monastery’s mountain by crane—their voice-overs disclose their personal struggles. The monks recount how they first felt joining the monastery, recollect the family and friends who still yearn for them, and describe how, ultimately, they’ve developed spiritually from their difficulties. Solemn and tense with the dedication of the devout, The Good Struggle offers perspectives on both the monks’ stone-carved surroundings and their individual sacrifices. Women and Hollywood interview, April 2018: Link here. The Good Struggle has aired on BBC Arabic 7 times since 21st August 2018.